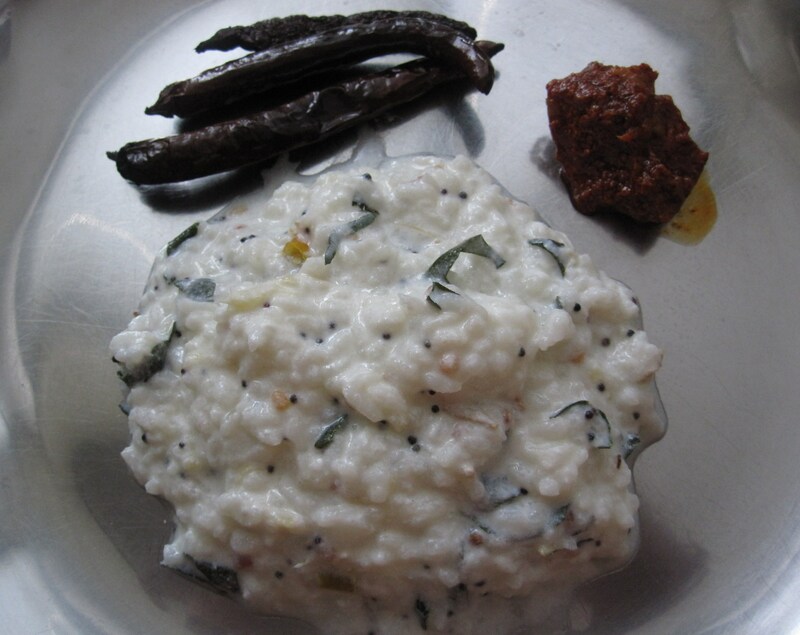 Any meal with steaming hot rice as the base food, with sambar, rasam, puli kuzhambu – the gravy dishes; elumichai saadham/lemon rice, puliodharai/tamarind rice, thengai saadham/coconut rice and many more ready to eat mixed rices – thayir saadham/curd rice is there to end the meal. 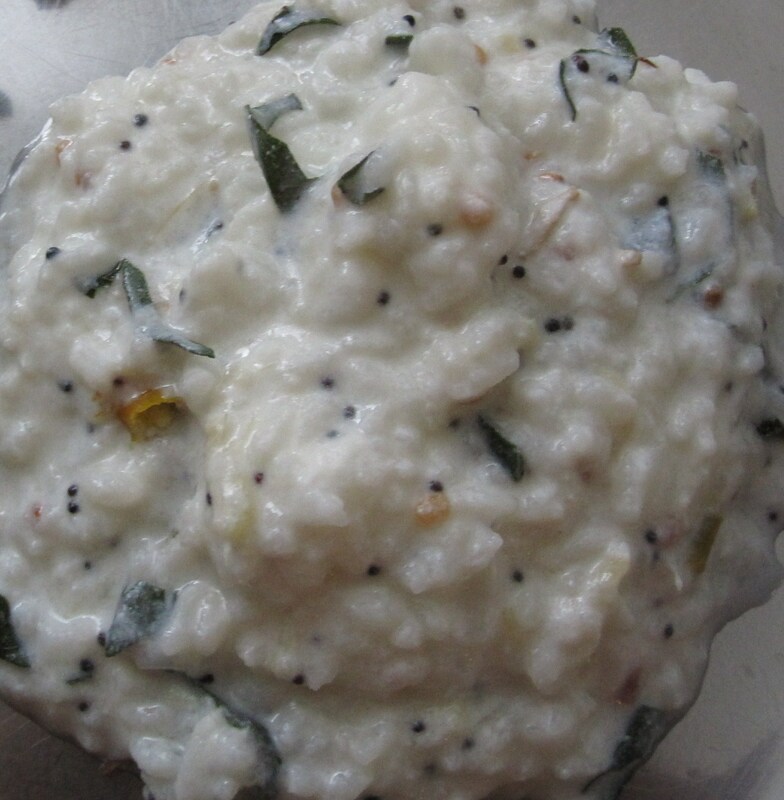 Thayir means curds and saadham means cooked rice. When on a banana leaf meal or a steel plate meal, one or two scoops of plain steamed rice with needed curds poured on top of it, mix well and have with pickles or the special mor milagai – fried sun dried chillies. means pickle. It is a very simple word for pickle – it literally means soaked vegetable or marinated unripe fruit. There used to be so many varieties of home made pickles – on the kitchen shelf – elumichai (lime), kidarangai and naarthangai belonging to the citrus family, maavadu (baby mangoes), aavakkai (raw mango), nellikaai (gooseberry), and many more to go with thayir saadham. 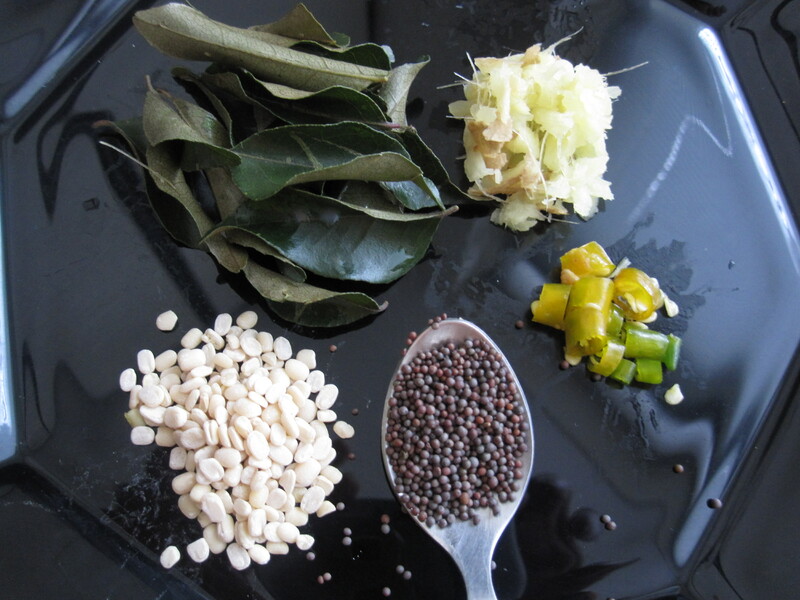 Mor Milagai – Mor means buttermilk and Milagai means chilli. The green chillies are soaked in salted buttermilk, then sun dried and stored for months together! Nowadays, these are easily available in departmental stores – neatly packed. Every time, there is a call for mor milagai with thayir sadham, the readily dried chillies are deep fried in medium hot oil – and are ready to be served! For now, I’ve been using those mor milagai got from India. Next summer, I plan to try at home.. let’s see!! 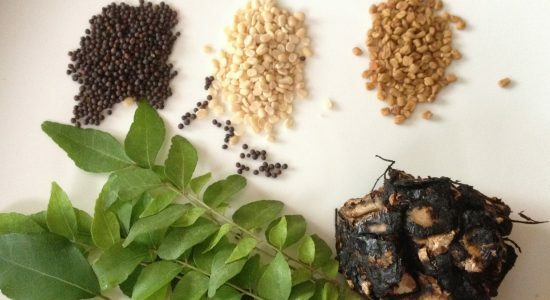 I also hear that in some other parts of India, especially Maharashtra, mor milagai is known as dahi mirchi and is had with khichdi (rice and lentil preparation). Mouth watering home made pickles and mor milagai with thayir saadham… this I call Pure Nostalgia! Thayir saadham… Thayir saadham can also be a lazy day’s single main course – with one steamed vegetable to go with it (balance in diet). Especially on a tummy upset day, this is a boon – mashed white rice with curds- not only easily digestible but soothes your system too. To make the simple thayir saadham more exotic in taste and exquisite in presentation, there are many more ingredients like grated ginger, chopped green chillies added to it. Sprinkle fresh coriander leaves and serve with mor milagai and/or pickle. Mint leaves can also be added with coriander leaves for extra flavour. Oh! I love this I’m going to make this now……. Thanks. Thayir saadham is one of my all time favorites too. Keep viewing.